It’s a rare occurrence to see two of the top six players (by PPG) at one fantasy position swapping teams, but that’s exactly what happened this offseason. Potential cap hits meant teams were more than willing to shuffle the deck with a couple of the biggest names at the defensive tackle position. What we’re left with is a pair of veteran faces in new places ready to make an impact for their second squads. It’s only fitting that we start with the move that has the biggest fantasy impact. Notice I said fantasy impact. You’ll see why I didn’t go with that brand new fish in Miami below, but I think the trade of Haloti Ngata from Baltimore to Detroit is the more impactful fantasy move. Ngata was entering the last year of a five-year deal and had a $16 million cap figure in 2015. The bigger problem for the Ravens was that Ngata was noncommittal about signing an extension after the season. This left Baltimore in a bind. They were stuck between one year of Ngata’s services and being handcuffed in free agency. That is, until Detroit came calling, more than willing to take the 31-year-old off Batimore’s hands in exchange for a trio of mid- to late-round draft picks. Not only did the Ravens pick up additional selections, they also shed themselves of the $8.5 million base salary Ngata was due this season, giving them a little added flexibility in free agency. The Lions, meanwhile, got their immediate replacement for Ndamukong Suh to stabilize the inside of their front four. What looked like it could be a weakness after the departures of both Suh and Nick Fairley was once again returned to a position of strength. Ngata gives the Lions a chance to maintain their elite run defense. When I say elite, I mean Detroit gave up 10 less yards on the ground per game last year than any other team (69.3 YPG to be exact). One could argue that Ngata at his best is better against the run than Suh at his best, and no one should be happier about that than the crew of LBs behind him, especially DeAndry Levy. With Ngata there to eat up double teams, Levy and Tulloch among others should still be able to flow to the ball and rack up volume tackle totals. The question becomes whether or not Ngata can still perform like an elite space eater? The last three years have brought about a decline both in his performance and his availability. His four game suspension for PEDs last year cost Ngata all of December and was a crushing blow for both the Ravens and fantasy owners counting on him. There’s also been a steady decline the last two years in Ngata’s sack and run stuff totals. Not that five sacks and three run stuffs per season were mind blowing numbers, but they certainly come off better than two sacks and one run stuff. Without the threat of a pass rush in the middle of the line, I do think teams will game plan to take away the new star of Detroit’s D-line, Ziggy Ansah. As talented as he is, he’s never been the focal point of a protection scheme, and now will face added attention as teams label him the number one threat up front. Ngata’s effect on the collaterals for Detroit could be wide-ranging, but I don’t think the span of outcomes for him personally is all that wide. He’s still a star in the middle, but he’s a declining star. Despite being an above average plugger in the middle of the line, don’t expect this move to rejuvenate his personal stat sheet. Just be happy the Lions got a guy who can somewhat offset the loss of this next behemoth. While Suh was undoubtedly the best player on the move in free agency this offseason, I don’t think the swap of dreary Detroit winters for the sand and sun of Miami really does all that much to his personal fantasy outlook. He’s already the most dominant defensive lineman this side of Houston, so it’s not as if the ceiling can go much higher. I’m more concerned with the floor, personally. We saw what happened the last time a D-tackle got a nine-figure deal in Washington. It can be real easy to play it safe after you’ve already cashed in. Thankfully, while some may question dropping that kind of cash on an interior lineman, no one is comparing Suh to Albert Haynesworth, not even Haynesworth himself. The penetrating style of the former Cornhusker led to a career high 10 run stuffs in 2014 to go along with 8.5 sacks. No other DT-only eligible player outdid Suh in the run stuffing department last year. I have no problem projecting another 15 combined run stuff and sacks this year, especially with the supporting cast in Miami. Without a doubt, the two happiest members of the Dolphins to see Suh put on the aqua and white had to be Cameron Wake and Olivier Vernon. Wake, the elder statesmen of the front four, is coming off his third season in five years with 10+ sacks (11.5 in 2014). The late bloomer continues to pressure the quarterback at an elite rate. But I’m more excited about Vernon. I get that his production dropped off quite a bit (from 11.5 sacks in 2013 to 6.5 in 2014), and that might be enough to concern some. I don’t think the sophomore boom was a one-off and expect a return to prominence now that Suh has a residence in South Beach. If I’m looking for value at DE, Vernon is among those at the top of my list. As far as Suh’s fantasy value goes, he’s still the top defensive tackle, and don’t expect that to change anytime soon. The DT position is still the equivalent of the TE on offense, meaning you won’t spend a premium pick on Suh or anyone else, but he needs to be the first name off the board at the position. Appreciate his greatness and enjoy the week or two he gives you game-changing numbers. Major League Fantasy Sports Radio Show: Join Ej Garr and Corey D Roberts on Sunday June 21st from 7-9pm EST for this Fathers Day edition of Major League Fantasy Sports Radio sponsored by The Sports Palooza Radio Network. Call in at 646-915-8596. This week’s topics will be everything fantasy related in the A.L. East and A.L. West divisions. This week’s guests are Joe Iannone, Kyle Amore, and Joe Ciccone. Joe Iannone handles the A.L. East, A.L. Central divisions. You can read his articles every Monday. Kyle Amore handles the N.L. East, and N.L. Central. Kyle’s articles publish every Tuesday. Joe Ciccone is our Chief Editor, and he also handles everything out West in the MLB. You can catch his articles every Wednesday. Come join us for a spirited debate. 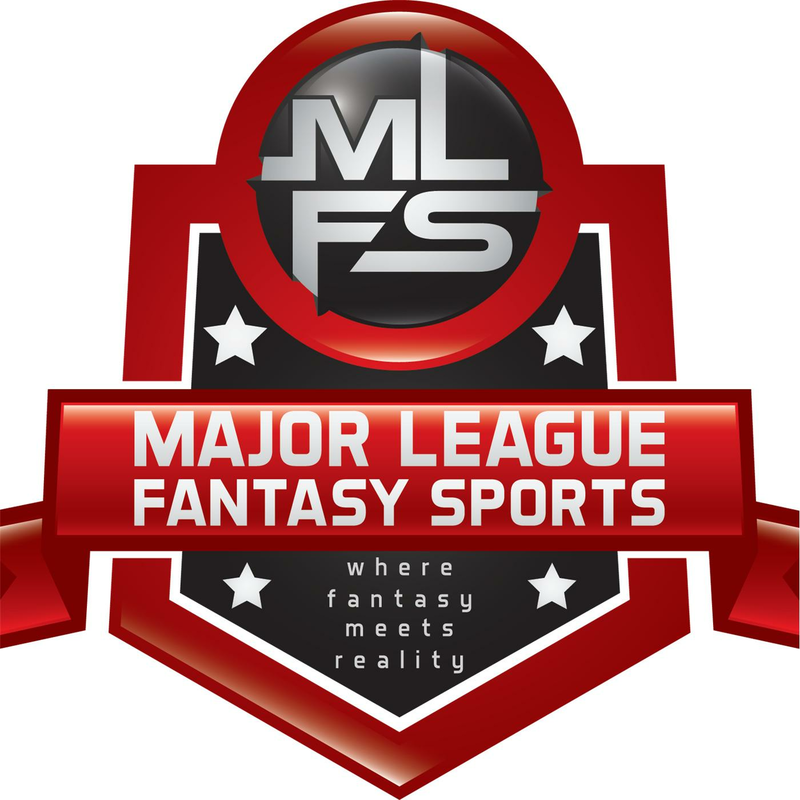 Join us for week one of our Major League Fantasy Football Weekly Youtube Show on Saturday June 20th, 2015 from 2-3:30pm EST. This show will run every Saturday from 2-3:30pm EST throughout the season. Lou Landers, Ron McCleese, and Jeff Nelson will be your hosts every week. Our guest this week is Bryan Robinson who is a writer with our organization. We will have Devin Joseph Offensive Lineman from the St Louis Rams on the show in the coming weeks. I am also working on Jerrell Freeman the MLB from the Colts. Come by and ask some questions to the boys and have some fun!